“1.Whether the Tribunal is right in law in holding that in a case in which expansion of capital was undertaken to meet the need for working funds, expenditure incurred for the said purpose is capital expenditure and is not allowable in computing business income? 2. The assessee herein claimed a sum of Rs.35,39,164/- as deduction under the caption ‘share issue expenses paid during the year deferred in books’. The Assessing Officer rejected the claim of the assessee by following the decision of the Apex court in Brooke Bond India Ltd. v. CIT  225 ITR 798/91 Taxman 26. The assessee contended that the assessee wanted to augment its working capital. However, on account of non clearance by SEBI, the assessee could not achieve the purpose. In the circumstances, the expenditure could only be treated as revenue in nature. Thus, aggrieved by the assessment, the assessee went on appeal before the Commissioner of Income Tax (Appeals), who disagreed with the assessee by following the above cited decision viz., Brooke Bond India Ltd. (supra). Thereupon, the assessee went on further appeal before the Income Tax Appellate Tribunal. The assessee contended that the expenditure incurred was only for the purpose of bettering the cash availability and the working capital of the company. In the circumstances, by placing reliance on the decision in Dy. CIT v. Assam Asbestos Ltd.  263 ITR 357/132 Taxman 808 (Gau.) , the assessee contended that the expenditure be allowed as revenue expenditure. Quite apart, since incurring of share issue expenses did not result in the increase in the share capital of the company on account of the reasons beyond its control, the claim be allowed as revenue expenditure. The Tribunal rejected the said contention by following the decision reported in Brooke Bond India Ltd.(supra). Considering the purposes for which the company incurred this expenditure, the fact that the efforts had got frustrated later on, would not alter the nature of the expenditure. Consequently, the Tribunal confirmed the view of the Assessing Officer. Aggrieved by this, present appeal by the assessee. 3. Learned counsel for the assessee reiterating the points taken before the Tribunal submitted that the decision of the Supreme Court relied on by the Tribunal as well as by the authorities below have no relevance to the case on hand, since the Apex Court did not go into the question as to whether the steps taken were to meet the need for more working capital. When the expenditure did not result in the desired benefit on account of SEBI’s non approval for share issue, the claim of the assessee could not be rejected. Thus placing reliance on the decision in CIT v. Tamil Nadu Chemical Products Ltd.  259 ITR 582/129 Taxman 559 (Mad. ), Assam Asbestos Ltd. (supra) the assessee submitted that the claim merited to be considered in favour of the assessee. 4. We do not agree with the submission made by learned counsel for the assessee. 5. 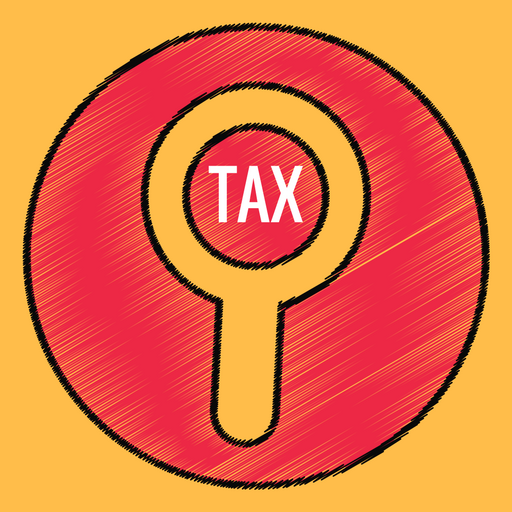 As far as the reliance placed by the assessee on the decision in Tamil Nadu Chemical Products Ltd. (supra) is concerned, the same was concerned about the claim under Section 35AB of the Income Tax Act. This Court pointed out that irrespective of whether it is a capital or a revenue expenditure, the claim has to be treated only in accordance with Section 35AB and the deduction allowable in respect of consideration for acquiring knowhow. The assessee therein entered into agreements for acquisition of know-how with two parties, one German and the other Japanese. Liquid petroleum gas was an essential requirement in the process acquired. After the payments were made in part to the company in Japan and in whole to the German firm, the assessee had to abandon the project as the Government of India declined to make available the liquid petroleum gas for industrial purposes. The Tribunal held that the expenditure was capital in nature and gave relief to the assessee by accepting the assessees alternate plea that as the expenditure incurred was on acquiring the know-how which was likely to assist in the manufacture or processing of goods, the assessee was entitled to the relief under Section 35AB of the Act. Thus, on the facts, this Court held that the fact that the project itself had to be abandoned subsequently by reason of the Government not making available the liquid petroleum gas required for the manufacture of the product for which this know-how had been acquired would not take away the fact that the expenditure had been incurred for the purpose of acquiring the know-how in the relevant previous year. Thus this Court held that the assessee was entitled to deduction under section 35AB for the assessment year 1991-92. Thus, the reliance placed on the decision of this Court, cited supra, has no relevance to the case on hand. 6. As far as the reliance placed on the decision reported in Assam Asbestos Ltd. (supra) is concerned, the said decision relates to the expenditure incurred for obtaining feasibility report for setting up a new mini cement plant. As the Government did not grant permission and the project did not take place, the assessee claimed the expenditure as revenue expenditure. Thus, on the allowability of the question, the Court held that the expenditure for preparation of feasibility report to bring into existence the mini cement plant would be revenue in nature, and hence, the assessee was entitled to deduct the expenses. The said decision also does not, in any manner, advance the case of the assessee for the reason that the expenditure or otherwise for the feasibility report would be in the realm of revenue expenditure and hence, rightly in that case, the Gauhati High Court held that the expenditure was revenue in nature. This decision also does not, in any manner, advance the case of the assessee. 7. As far as the present case is concerned, admittedly the expenses were incurred by the assessee for the purpose of putting up publication. This was done for the purpose of widening its capital base. Even though the assessee stated that this expenditure was incurred so as to improve the cash availability, yet, the fact remains that the expenditure incurred was only for the purpose of expansion of the capital base. 8. Secondly, according to the assessee, since the expenditure did not yield desired result, the character of the expenditure has to be decided on the basis of the result that would yield for the benefit of the assessee’s business. We do not accept that such a reasoning will be of any assistance to the assessee. 9. In the decisions in Kodak India Ltd. (supra), the Apex Court pointed out to the decision reported in Punjab State Indl. Deve. Corpn. Ltd. v. CIT  225 ITR 792/93 Taxman 5 wherein it was held that the fees paid to the Registrar of Companies for expansion of the capital base of a company is directly related to the capital expenditure incurred by the company and although incidentally that would certainly help in the business of the company and may also help in profit making, it still retains the character of a capital expenditure since the expenditure is directly related to the expansion of the capital base of the company. Thus, the Apex Court, in the decision in Kodak India Ltd. (supra), held that considering the object of the expenditure therein to increase the share capital, pursuant to the direction of the Reserve Bank, irrespective of whether it did so or not, after the direction of the Reserve Bank or otherwise, the case would nevertheless be covered by the decision Punjab State Indl. Deve. Corpn. Ltd. (supra). It may be seen from the facts given in the decision Kodak India Ltd. (supra) that the assessee incurred expenditure for the public issue of shares to increase its share capital pursuant to a direction of the Reserve Bank to do so to reduce its non residential holding to 40 percent. Thus, taking the view irrespective of direction by the Reserve Bank, the expenditure incurred for the public issue of shares was capital expenditure. The said decision is squarely applicable to the case on hand. 10. We may note that the assessee admittedly took steps to go for public issue and after incurring expenditure, just before the public issue, by reason of the orders from the SEBI, the assessee could not go in for public issue. Thus, the efforts were aborted. We do not find any justifiable ground to accept the plea of the assessee that on account of the abortive efforts, the expenditure incurred would lose its character as capital expenditure for the purpose of allowing it as a Revenue expenditure. 11. Learned counsel pointed out that in the decision in Brooke Bond India Ltd. (supra), it is no doubt that the Apex Court considered the expenditure in connection with the additional issue of shares paid to the Registrar of Companies by way of filing fee and hence, has no application. We do not think so for the principle therein decided by the Apex Court read would squarely apply to the facts herein. When the expenditure to the extent of Rs.35,39,164/- was admittedly shown in the books of accounts as towards issue expenses incurred during the year, we do not find any justifiable ground to dissect one part of the expenditure as revenue expenditure and another part of the expenditure as capital expenditure. Learned counsel for the assessee placed reliance on the unreported decision of this Court in the case of CIT v. Kreon Financial Services Ltd. [Tax Case (Appeal) No. 2308 of 2006 dated 3.10.2012], wherein this Court had accepted the assessee’s case that part of the expenses would go for expenses for deduction as revenue expenditure. We have gone through the said decision, to which one of us is a party. We do not find any justifiable ground to extend the benefit of the said case to the facts of the case on hand. In the decided case, the Commissioner had given categorical finding that the nature of the expenses were allowed therein as a revenue, as those expenses were to meet out the day today transactions of the business of the assessee. Thus in the face of the factual finding rendered by the Commissioner, based on the report received from the Assessing Officer, this Court rejected the Revenue’s appeal. 12. Even though learned counsel for the assessee submitted that the assessee be given a chance to show such details before the Assessing Officer as in the earlier case, we do not find that there exist any necessity since on the admitted facts placed before the Assessing Officer it was stated that the expenditure of Rs.35,39,164/- related to issue expenses, as such, we see no justifiable reason to accept the said prayer. 13. In the circumstances, the above Tax Case (Appeal) is dismissed. No costs. This entry was posted in Sec. 37(1) and tagged 358 ITR, business income vs capital expenditure, In favour of Revenue, Madras High Court.